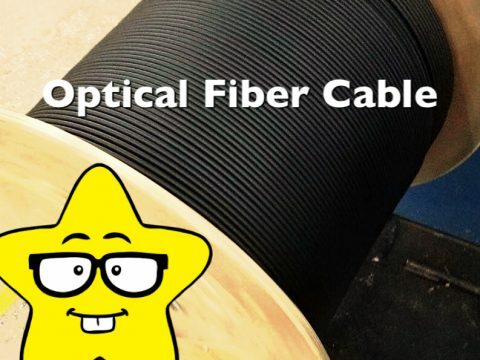 Tape armoring is provided to ensure extra mechanical protection to the fiber optic cables. There are several types of tape materials that can be used for armor. Also, these tapes can be processed and applied in a variety of way. We will see here a summary of tape armoring options, before that, let us see why tape armoring is preferable for some environment. – Tape armoring is preferred for protection against damage by pointed digging tools, sharp stones, etc. The coverage is full over the inner core or sheath with tape armoring. – Tape armoring provides magnetic screening for circuits within the cable, for which wire armoring is much less effective. There is space in between wires and the air gaps between the individual steel wires greatly reduce the magnetic coupling between the armored sheath and the conductors within the cable (for metallic cable) For fiber optic cable this should not be a problem, but if there is any metallic inside element, which is not earthed properly may cause troubles. 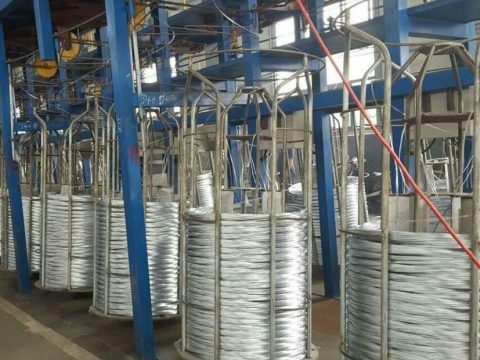 – Production line-speed is higher for tape armoring compared to the wire armoring. Manufacturers prefer tape armoring. Typically a plain tape is applied longitudinally over the core or inner sheathed cable. One or two layers of the tape can be applied depending on the requirement. Materials used are stainless steel, ECCS (Electrolytically Chrome Coated Steel) tape, Glass tape etc. The plain tape is corrugated by passing through a corrugation unit and then longitudinally wrapped over the core or inner sheathed cable. Corrugation provides extra mechanical protection from vibration and lateral pressures. The corrugated tape has a structure of a wave with Crest and Trough. The pitch, that is the distance between the nearest troughs or crests is typically 2.5mm. 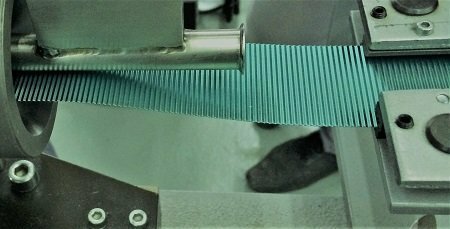 Corrugation height is set usually at 0.8-millimeter Effective longitudinal length of the tape reduces as a result of the corrugation process and hence care shall be taken while providing the plain tape. Commonly used tape materials are Stainless steel and ECCS. This is the helical wrapping of tape over the core or inner sheathed cable. Wrapping is done with an overlap. One or two tapes are helically wrapped depending on the mechanical performance requirements. Commonly used materials are Stainless steel tape, ECCS tape, Copper tape, Aluminum tape, Glass tape etc. The list may not be full. If you know any other methods, please share in the below comment box. ← How Do You Decide the Type of Armoring for Optical Cables?